Super soft and ultra chic olive green lounge jumpsuit. 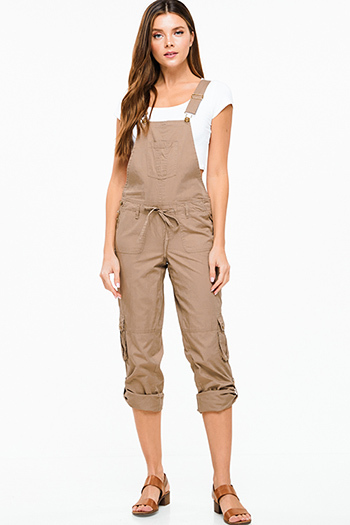 Featuring adjustable spaghetti straps, drawstring waist, and low cut arm holes. Tapered harem leg hems. 70% Spandex, 25% Rayon, 5% Spandex. Imported. Model is 5'9", chest 32 B, waist 23", hips 34, wearing a size small. In stock and ready to ship from our wholesale clothing company in Los Angeles.